Can I travel to Switzerland on a budget? 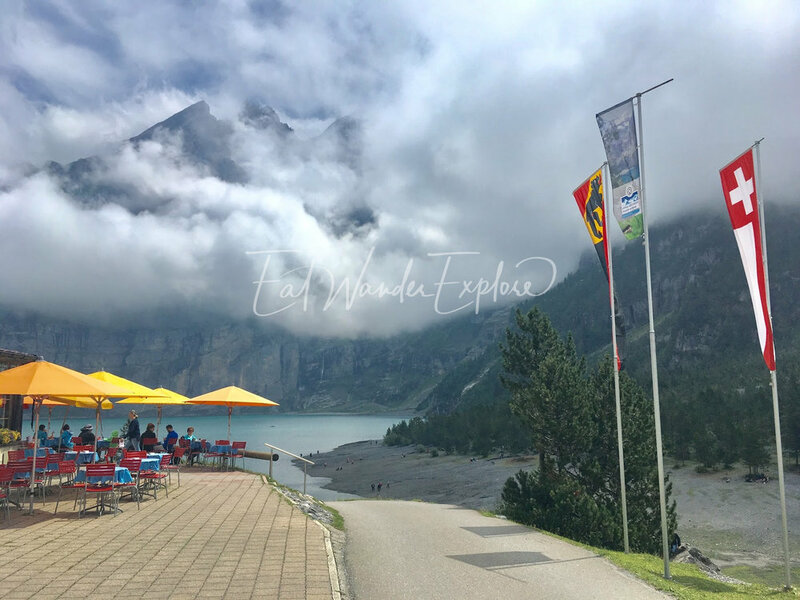 Switzerland is without a doubt one of the most expensive countries to travel to, so it makes sense that people regularly ask us if it is possible to travel to Switzerland on a budget. Good news: Yes, you can! 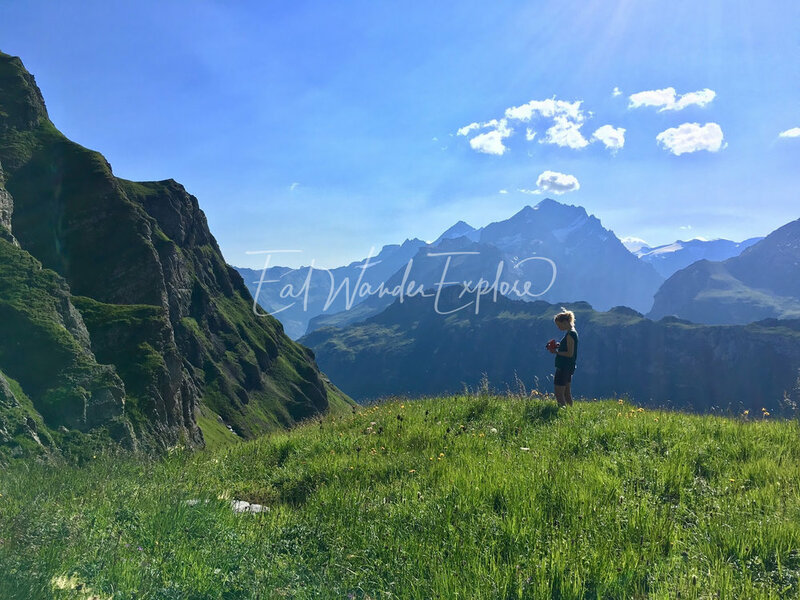 We traveled to Switzerland in July and had to start planning about 3-4 months in advance to make our two-week trip affordable, but it worked. 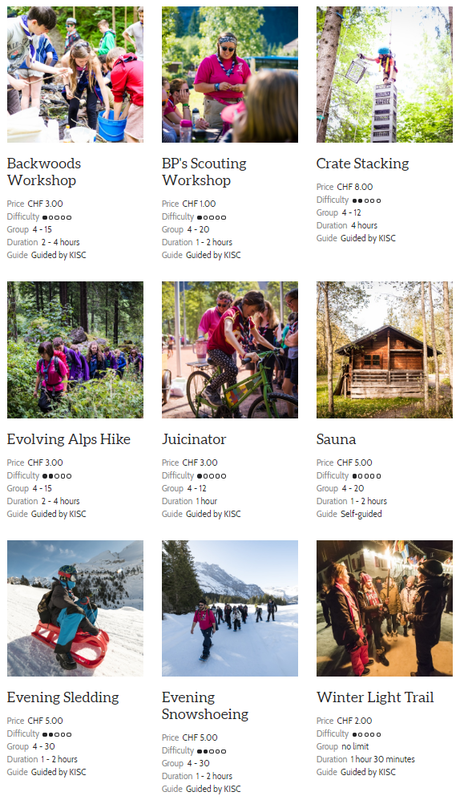 The key to making this work is a little-known fact: the “Programme & Adventure” guide at the Kandersteg International Scout Center is open to anyone - even people who aren’t scouts and aren’t staying at their accommodations! It does cost 10% more for people not staying in their accommodations, but the cost of your trip to Switzerland is likely to be more than 60% cheaper than if you were to put it together elsewhere. You can even save the 10% by reserving a camp site or by staying in one of their lodge-type accommodations for as little as CHF 10.00-38.00 per adult per night! 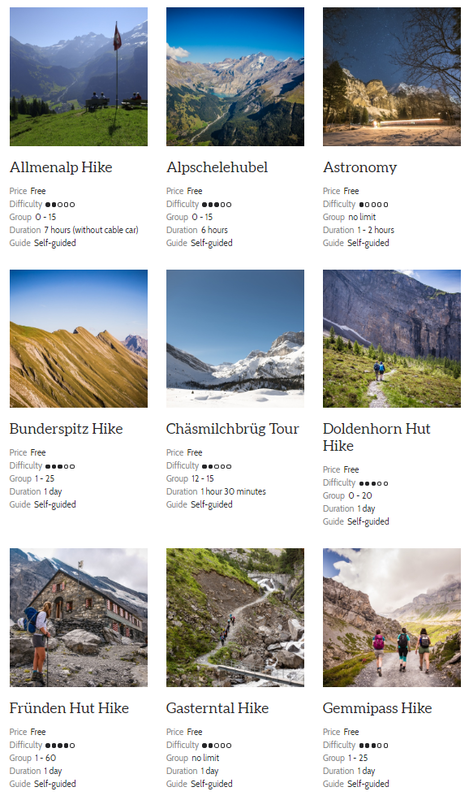 We were staying for 12 nights, but opted to get a Bed & Breakfast about a mile away near the Kandersteg city center instead (it is a small town), so we did need to pay the 10% premium for the activities - but they are QUALITY ACTIVITIES at steeply discounted prices. Additionally, the walk to the camp is very pleasant in the mornings - a road with sidewalks will bring you directly there - just make sure to greet people who ware walking by in German by saying “Morgen” as they pass by. The area is extraordinarily safe, even in the evenings – plus, the camp has a number of fun outdoor day and night activities that you are invited to which occur year-round – most of which are FREE. 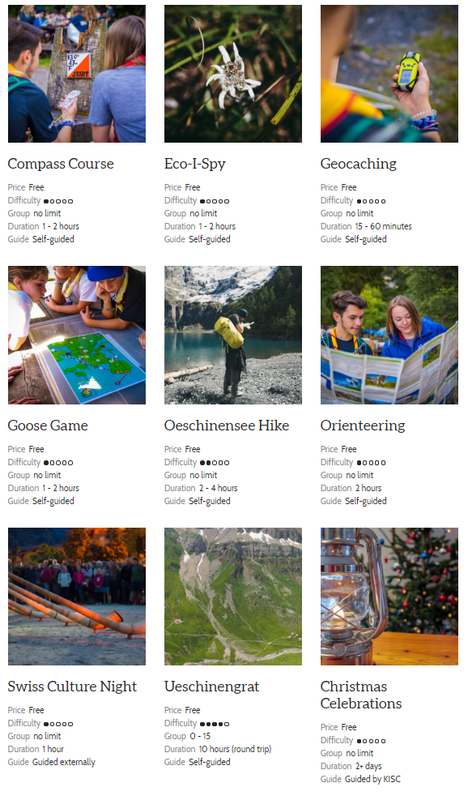 Yes, there are loads of things to do for free, but here are some that cost less than CHF 10.00 as well. Then there are some of the Uniquely Swiss activities and some of the more serious adventures and day trips. 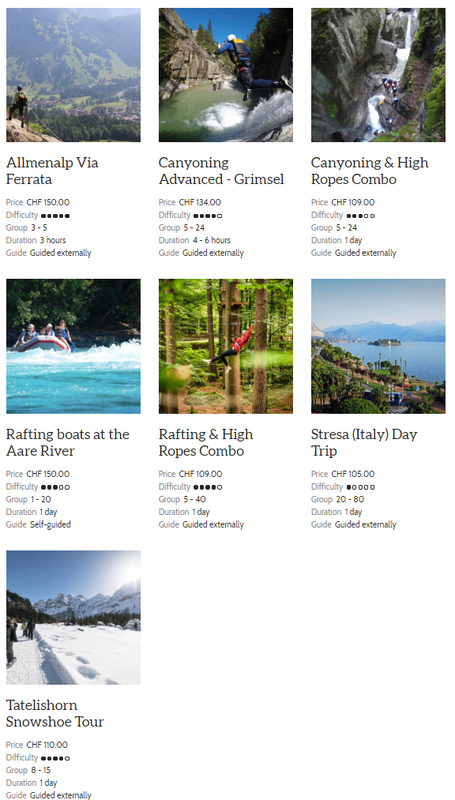 These are the serious Swiss Mountain Hikes, White Water Rafting, Canyoning, Skiing, Paragliding, and Rock Climbing type of activities. It is really amazing how much they offer to do here - and I haven’t shown even half of them! Some of these links will lead to other articles that we have written about - for each of the specific experiences. See more photo highlights from our trip in the Switzerland Gallery. 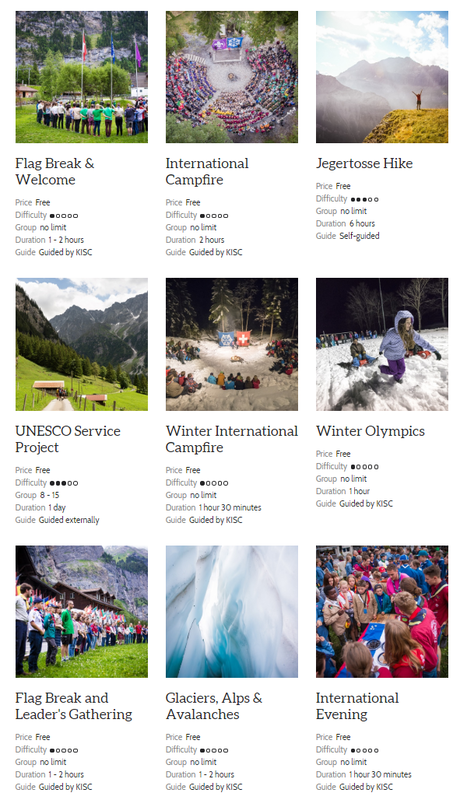 If you’re looking for a budget itinerary that you can build yourself in Switzerland, look no further than the Kandersteg International Scout Center (we are in no way affiliated with KISC - it is just an honest recommendation). If you need help with planning your trip, feel free to contact us!